We like Oprah about as much as the next red blooded dude; lots of good tips on womens' issues, some soft central-left politics and just about the nicest Volvo 1800s and BMW New Classes on the block...wait, what? Not the lady who interviewed teary eyed liars and cheaters; but Oprah85, the seller of minty clean vintage steel on ebay. 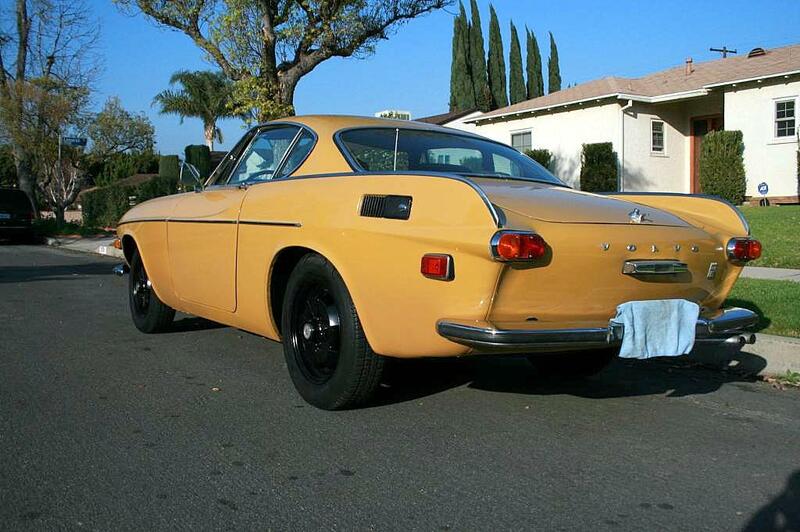 This Thorsday blue-plate special is a 1971 Volvo 1800E, covered in a nice coat of Safari Yellow, for sale in Mission Hills, CA and currently bidding on ebay for $8,100 reserve-not-met. 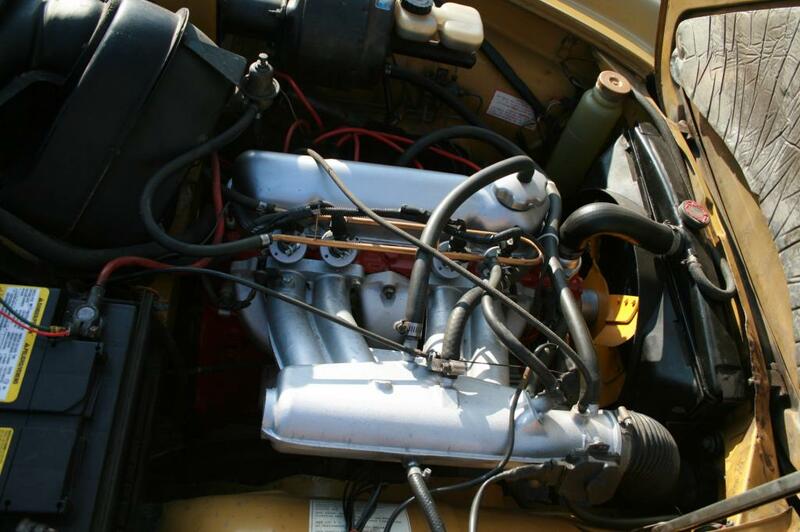 Wow - this body looks amazing in its original color of #100 Safari Yellow. The '70s color pallet on a shape designed in the late '50s might seem odd, but we think it works just fine especially with the added Hella fog lights on the front bumper, and black painted wheels for contrast. The 1800E was the final incarnation of the seminal Italianate coupe from Volvo, and featured a 2.0L fuel injected B20E engine for easy starting, better fuel economy, smoother running and more power (compared to earlier carbureted 1800S and P1800 versions). Despite the fact that this little lump is a two valve per cylinder pushrod design (like the GM LS V8s), it puts out an impressive for its time 125 hp with the Bosch D-Jetronic manifold pressure based fuel injection system. More good news is that the B20E shares its basic mechanical design with the immortal B18 engine as found in Irv Gordon's 3-million mile 1800S. Five main bearings, quality materials and sturdy Swedish design means this thing should last forever. 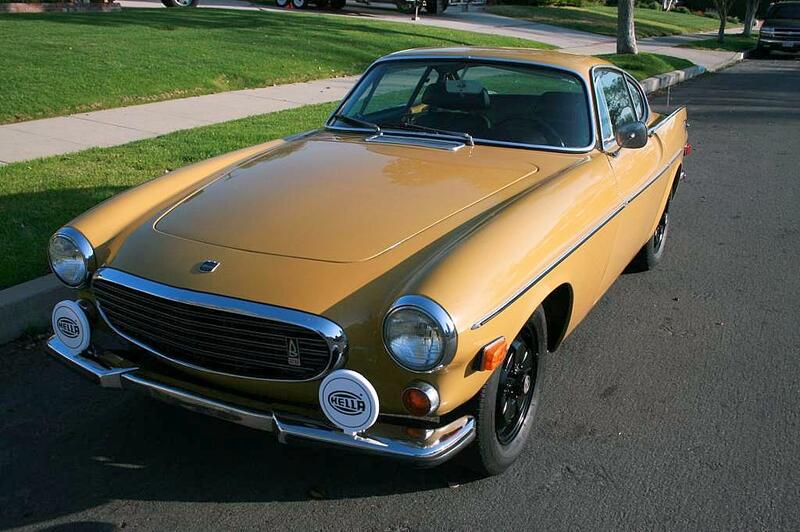 This one was just recently rebuilt by Volvos Only and features many new parts and super clean presentation. 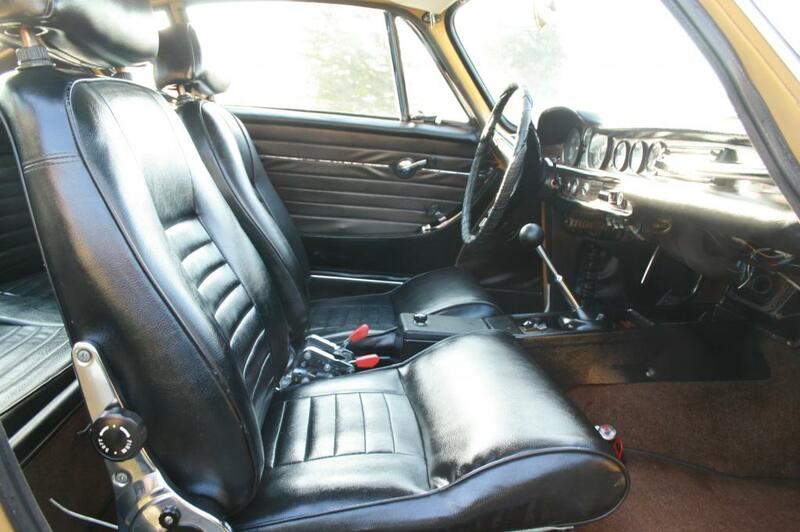 The interior is all stock and a combination of original materials in good condition, plus reupholstered seats front and rear. You sit low on the floor in an 1800, with your legs straight out in front of you and a bolt-upright steering wheel in your hands. The ergonomics are great once you're inside, but getting in and out can be a bit awkward - the best strategy is to "roll" on ingress and egress. The shifter should have a notchy, precise action and the unassisted steering should give good feedback without being overly heavy. This is no sports car, but it is a great driver's car in the GT tradition, meant for long trips, flowing B-roads and cruising in style and comfort. No accident damage or rust is a huge plus in the world of 1800s, and means the new owner will be faced with the pleasurable task of driving the wheels off this thing, plus some regular maintenance, cleaning and waxing. 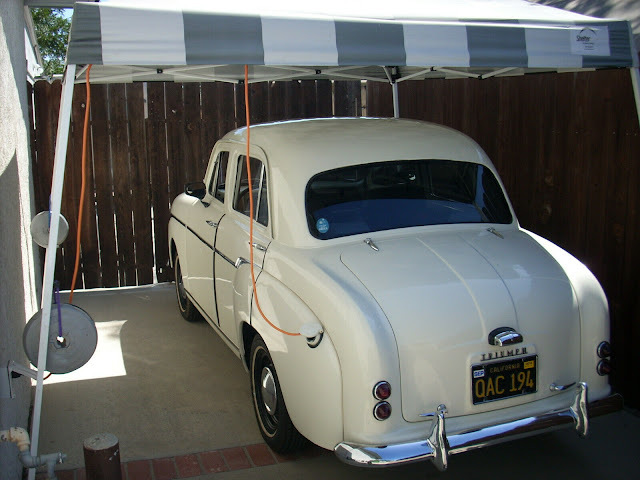 Kick back with a beer at sunset and admire this little beauty in your driveway - sounds great to us. We'd be surprised if this one didn't crest $10k given the fantastic looks and great mechanical condition. Still a bargain compared to a 5-year-old Kia - and infinitely cooler and more engaging as a daily driver! i wanta party with you, dude. you field some fine examples, sir. Looks like the engine was rebuilt and it has 100 miles on it.That means lotsa miles of trouble free motoring. That's a huge plus in my book.